Finding the right diet for gastritis can speed the healing process and reduce the chance of recurrence. While there is no universally ideal diet you need to follow, avoiding the triggers that may have led to the condition and making an effort to eat foods that will speed your healing can be an important part of your treatment program. The word gastritis refers to inflammation in the lining of the stomach. Gastritis can be acute, meaning it comes on suddenly and lasts only for a short time, or chronic where the symptoms persist for a long time. Physicians have several different methods for diagnosing gastritis. The first is endoscopy of the stomach where a thin tube which carries a camera and light are inserted through the throat and into the stomach. The camera allows the doctor to get a clear view of your stomach and take a biopsy, if needed. Stool samples may also be collected in order to determine if blood is present. A breath test may also be taken in order to determine if H. Pylori, a bacterium that commonly causes gastritis is present. Gastritis may be prevented by avoiding the long term use of cigarettes, alcohol, NSAIDs, and other drugs. Adding yoga or other stress relief techniques into your regular routine may help to prevent gastritis as well. While disorders of the stomach, including gastritis, affect up to 20 percent of adults, some of the underlying causes related to these disorders are still misunderstood by many healthcare practitioners. There has been little scientific research conducted that relates to the effect of diet on gastritis. However, there are some commonly used dietary guidelines which do seem to offer some relief to gastritis sufferers. According to the University of Maryland Medical School, there are some dietary guidelines which may be helpful for individuals suffering from gastritis. Consume foods that contain flavonoids. Foods rich in flavonoids such as apples, cranberries, celery, onions, and tea may help to prevent the growth of H.Pylori. Eat plenty of antioxidant-rich foods such as fruits and vegetables. Eat plenty of foods high in calcium and B vitamins including raisins, broccoli, sea vegetables, almonds, and dark leafy greens. Avoid refined and processed foods such as white flour and pasta. Consume whole grain versions of these products whenever possible. Avoid refined sugars. Use unrefined sweeteners including honey and maple syrup. Reduce your intake of red meats. Eat fish, beans, nuts, seeds, and tofu for protein. Avoid trans-fatty acids found in many commercially baked and fried foods such as cakes, cookies, chips, french fries, and onion rings. Avoid drinking beverages that may contribute to irritation of the stomach lining such as coffee, alcohol, and soda pop. Speak to your doctor about diagnosing and eliminating food allergies and sensitivities. Drink half of your body weight in ounces of water each day. For example, if you weight 150 pounds, drink at least 75 ounces of water every day. Include exercise in your routine. The American Heart Association recommends adults get at least 30 minutes of moderate exercise, such as walking, five days of the week. It is important for individuals suffering from chronic gastritis to have their vitamin B12 levels monitored by their physician. This is due to the fact that inflammation of the stomach is often linked with a low amount of stomach acid and intrinsic factor, which may result in a deficiency of this vitamin. Your doctor may recommend vitamin B12 injections or supplements in order for you to maintain adequate levels of the essential nutrient. As with diets for most illnesses, all healthy diets for gastritis include consuming a balanced diet that includes plenty of fruits, vegetables, whole grains, lean proteins, and healthy fats. 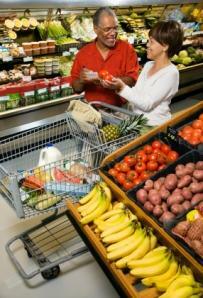 Speak with your doctor about specific dietary suggestions for your type of gastritis. A Registered Dietitian can help you create a healthy meal plan that may help to alleviate your gastritis symptoms.